Kat Bloodmayne has a secret. She has the power within her to use nature as a weapon. Problem is that she doesn’t know where the power came from or how to control it all that well. People around her are getting hurt, and worse now that she is being hunted for her power. Hunted by someone she knows well, protected by a man who may not be on her side and running in a world where the darkness is far more sinister than she she could have imagined. This is Morgan L. Busse‘s new book Tainted. Set in a dystopian steampunk world — think Victorian with airships where science and the old world clash and converge. Also think fantasy with a bit of Frankenstein simmering in the background. I was very impressed with Morgan’s new page turner. There have many repetitive attempts at dystopia in book and film, and many failures or not-quite-there steampunk attempts. Morgan doesn’t succumb to these pitfalls and creates an original story in a well-realized world. I could see this story playing out on the big screen and Morgan has certainly established herself as a storyteller to pay attention to. And Kat Bloodmayne is not a heroine to be trifled with. Hopefully, some more sneak peaks into the series are coming soon. 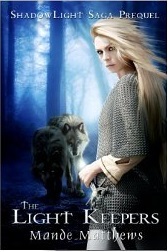 I first started reviewing Morgan L. Busse‘s Follower of the Word trilogy back in 2012. Now, it concludes with Heir of Hope in what is a final encounter between good and evil. The story thus far has followed Rowen Mar, a young woman whose power to see into the darkness of others made her an outcast. 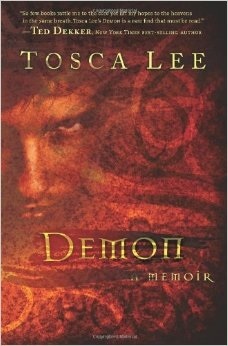 Former assassin Caleb Tala has forsaken his past, but must come to terms with who he is as well. The Lands have been plagued by the Shadonae, those like Rowen and Caleb who chose darkness and the shadows that they conjure. In this volume, we see the reluctant heroes continuing to learn who they are, question what they can do and come to the edge of a final confrontation. It is focus on a small group of characters that drives these stories forward. Sure, there is action as in all fantasy tales, but here that is not front and center. Readers will never be bored and at this point they can’t wait to learn what happens to those that they have followed from one danger to another. Sadly, this is the conclusion of the tale, but maybe Busse will return to it someday. The ending surely hints to that possibility. The fantasy genre is full of stories on the timeless struggle between good and evil. It is the staple of much fiction and is revealed in our own world on a daily basis. The Follower of the Word is no exception. And yet so many seem to be blind to the battle. Perhaps books like these will remind people to recognize evil, see its true nature, stand up to it and show how they can defeat it. Shift is volume 2 of Hugh Howey‘s Silo Saga. The first book was a record-breaking bestseller in sci-fi’s dystopian/apocalyptic subgenre (yes, there is a difference between the two, but there is overlap as well). Part 2 promises to fill in the history prior to Wool. …robots smaller than human cells [created] to make medical diagnoses, conduct repairs, and even self-propagate…A simple pill, it had been discovered, could wipe out the memory of any traumatic event. At almost the same moment in humanity’s broad history, mankind had discovered the means for bringing about its utter downfall. And the ability to forget it ever happened. 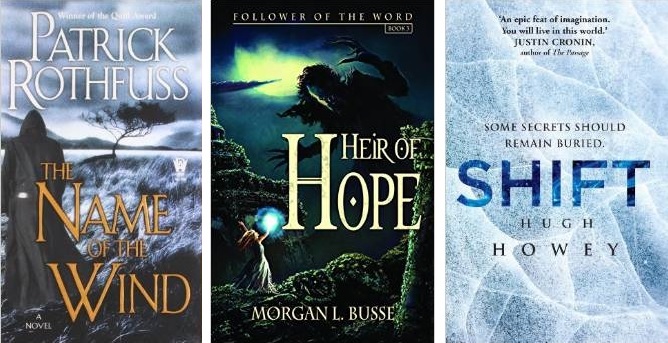 Heir of Hope concludes Morgan Busse‘s Follower of the Word fantasy trilogy. This series gave me hope that there is still a lot of great fantasy stories to be told and I look forward to seeing how the series concludes (and probably will wish Ms. Busse will continue it someday). The Name of the Wind the first in a trilogy by Patrick Rothfuss, has been much-talked about in the fantasy world. Only a few pages in and the book has my attention (always a good sign). Who will be Ready to Oppose the Shadonae? When someone has an innate ability to oppose Evil, they become a target. Evil will do whatever they can to suppress or destroy such people. The danger for Evil, though, is that the great Heroes are often refined by this, strengthened by it. What Evil tries to destroy, only gets stronger. This is the path the reluctant heroes are faced with in Morgan L. Busse‘s absorbing new novel, Son of Truth, the sequel to Daughter of Light. Last time, we followed the reluctant outcast, Rowen Mar, as she finally chose who she was meant to be, even if she wasn’t entirely sure what would come with it. An Eldaran imbued with gifts of healing and Truthsaying, these great powers often take a toll on their user. Now she is on the run because people fear her. This volume also sees the development of other characters from the first book, as they discover and come to terms with what they are meant to be. There’s a great interweaving of their paths here, even a bit of a love story. One of these people is, if you haven’t guessed from the title, a Guardian (another type of Eldaran), who is called to stand against Evil. Readers are left with the distinct feeling something big is looming just off stage. Where as the first novel was set against the backdrop against a war between men, the threat of the Shadonae is growing as is the strength of those who will ultimately oppose them. In a way, the trials of the characters remind of the breaking of the fellowship in Lord of the Rings. Not that all of these people were together initially, but they find themselves on differing paths that test their beliefs and resolve before their journeys converge. Very much a character-driven story, Morgan keeps the adventure flowing forward with plenty of surprises and conflict. As good as the first volume was, she has truly found her rhythm here in a story that propels the reader to the next page. Some aspects of the Follower of the Word are a bit reminiscent of Terry’ Brooks Word and the Void series (which he later connected to his Shannara books), but Brooks never really developed what the Word was and what that meant. Morgan isn’t afraid to make this integral to her book, and the religious allusions are obvious, but in the way C.S. Lewis approached his fantasy. Allowing his beliefs to be the foundation of his work, not to overwhelm it. I only say this because all authors imbue their books with their beliefs, but I think the path Lewis or Morgan has taken is more realistic. Sure, there are those who like their books to be more in their face about everything or are mad when that’s what they discover while reading. Writers can’t, and shouldn’t try to, make everyone happy. Most people will be more than happy with Morgan’s newest book. As always, in a series like this, it is always best to start with the first book. I don’t know how many books in this sequence she has planned, but I do know one thing. In a time where I have lost interest in many other books and their sequels, this is one that I can’t wait to see what happens next. For years I had intended on reading the classic fantasies of J.R.R. Tolkien, but never did until a few months before the films were released. Then I was hooked. I had been a long-time sci-fi fan, but I still wondered how did I miss this genre? So I began seeking out more. Of late, however, I have had a tougher time finding new fantasy authors that I enjoy. A couple of times I have, in the middle of a series, given up and moved on. These authors have created detailed worlds and epic adventures for sure. Yet they are afraid to let their stories breathe. They don’t want to leave any details to the readers’ imagination. So instead of the story drawing you in and propelling you along, it can be like slogging through a swamp. Time is too valuable to spend on such books and there are many others needing reading. Maybe it is the conditioning of the instant-everything-society, but the plodding style of writing is a dying breed. Still, I continue the quest for something new and engaging. That is just what I found in Daughter of Light, the debut novel of Morgan L. Busse. It’s the story of Rowen Mar, who is learning she is not another average human in the Lands. Evil is rising and she is being called to make a choice, lead the fight or deny her gifts. In some ways a classic fantasy tale, but rather than focusing on a particular quest (finding this or that object), this one is more centered on the people finding what they were meant to be. The story quickly draws the reader in with just the right amount of detail to allow your mind to quickly form a vision of Busse’s world. It is not as heavy on the fantasy elements as other books and in this and other ways reminds me of Terry Goodkind’s stories. Fans of that series also may see a similarity in Goodkind’s Confessors and the reluctant Rowen’s abilities. Busse’s story, though, is original in its world. Good and evil aren’t the vague ideas of many novels. There is something real and tangible behind both. I won’t give away any more details here, but this book should be on all fantasy fan’s read lists. The adventure moves quickly and readers will be waiting for the next volume, which the final pages of this one surely indicate is coming. In fact, this book seems almost a prologue to a much longer story. The characters are just beginning to realize who they are. Evil is still spreading through the countryside. They have yet to fully engage in the struggle. The battle between Darkness and Light has only begun.